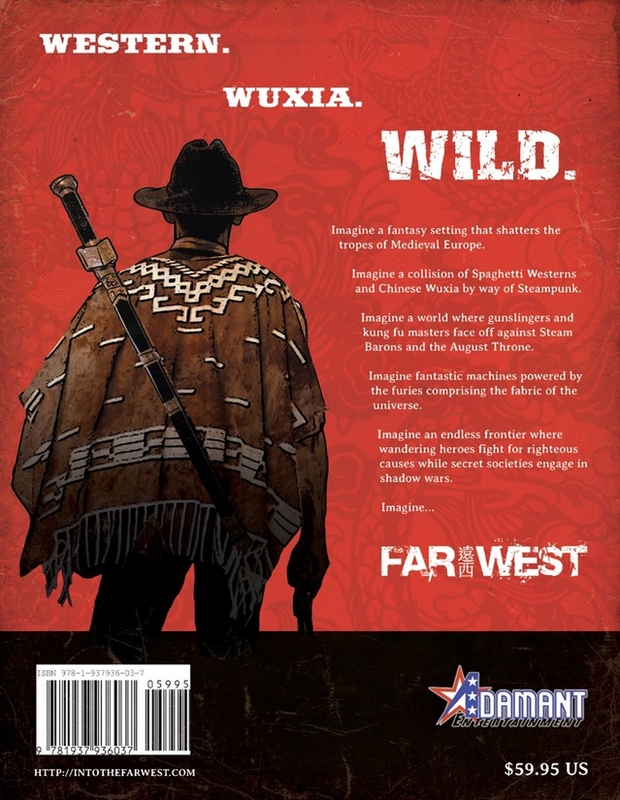 As we’re finally getting closer to the release of the Far West Adventure Game Core Rulebook, we figured that it was time to show you some of the stuff that has only been shown to our Kickstarter Backers so far. Today, we’re giving you your first look at the front and back cover of the game! The backers offered their opinions on a number of different options, and these are the final designs that resulted. Looks pretty cunnin’, don’t it? We’re really pleased with how it turned out. Thanks as always to our amazing backers for their invaluable input! Just found your lovely place on the internet! This is fantastic, looks like it will rock the RPG world, like dynamite! Looks great! 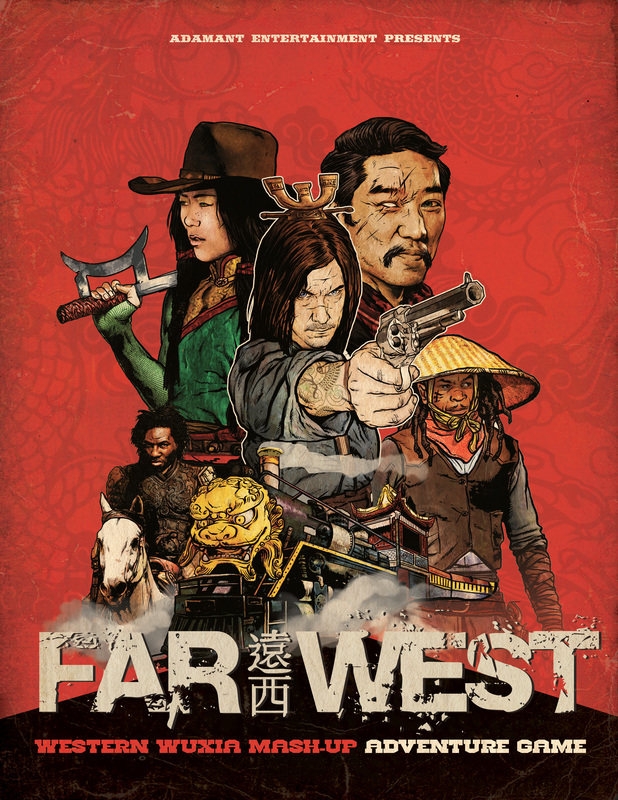 Been reading the book of stories for Far West and they are very good. Looking forward to this game being released. Any update on when? Should be soon — the commercial release will be in the next few months.